The second draft of Hot Springs Island. More tweaks still to come, but I've gotta say, I think we've all learned a hell of a lot of good stuff from this process! 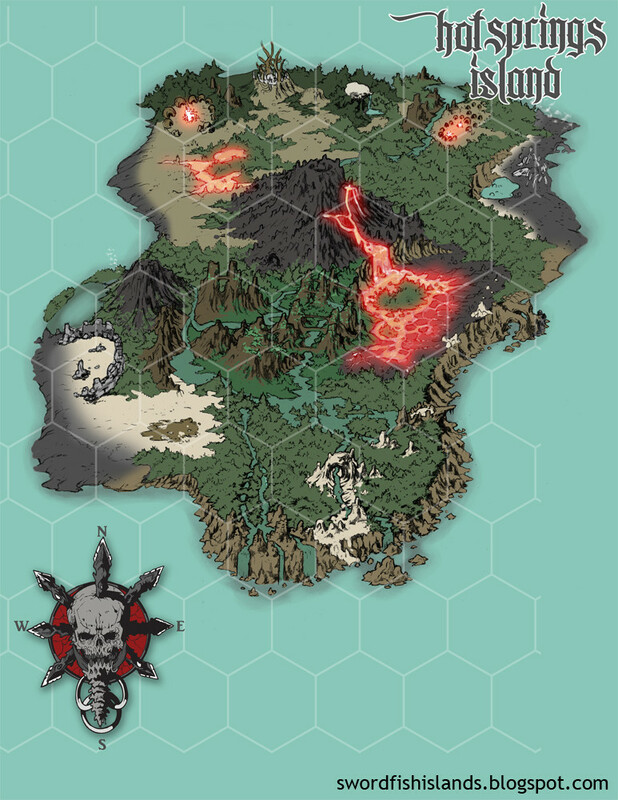 Even though the hexes aren't labeled in this version of the map, you can check out the first draft of the hex key that will go along with the island here.